There’s nothing quite refreshing like a good cup of tea. It makes me pause, wherever I am, and takes my mind off the madness around me. It helps my mind feel centred, it soothes. After the first two sips, out of habit, I search for little nibble on the side. World over, tea lovers are finding new ways to add a little tea to their favoured delicacy. I have taken seven different kinds of tea and figured some recipes to add them to! A few are traditional recipes while some are made better with the tea-based twist. 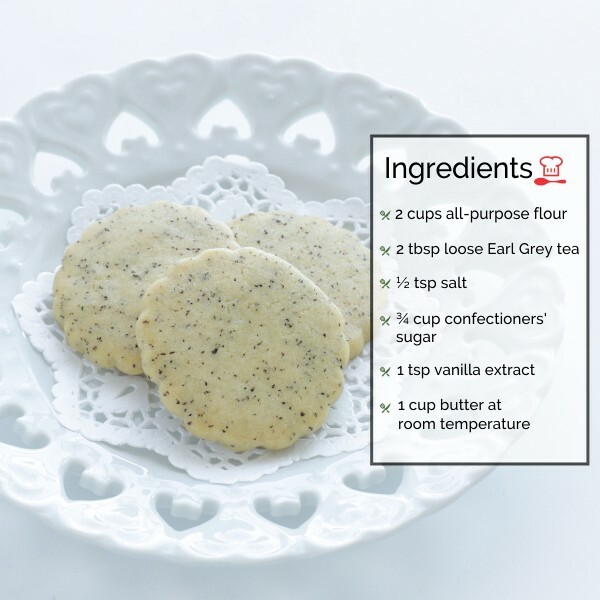 There’s nothing quite like a cookie, even better when it carries a hint of your favourite tea. Mix the flour, tea and salt in a food processor and blend it till the tea looks like dots in the flour. Add the sugar, butter and the vanilla extract to this mix till a dough is formed. Roll the dough into a long strip of a little more than 2 inches in width. Cover the dough in a foil and leave it in the fridge. After half an hour, take out the dough and slice it into disks. Place these disks onto a tray lined with a baking sheet and put the tray into the preheated oven. Keep the temperature at 375 degrees and bake for a little over 10 minutes. Make sure the edges turn brown. Once down, let them cool for at least five minutes before you taste them. Take a large bowl and mix the flour, baking powder and salt. In another bowl mix the butter, sugar and eggs. Add the tea, milk as well as the vanilla essence to the second mixture. Now add the second mixture to the first dry mix and blend until a consistent batter is formed. Watch out for lumps! 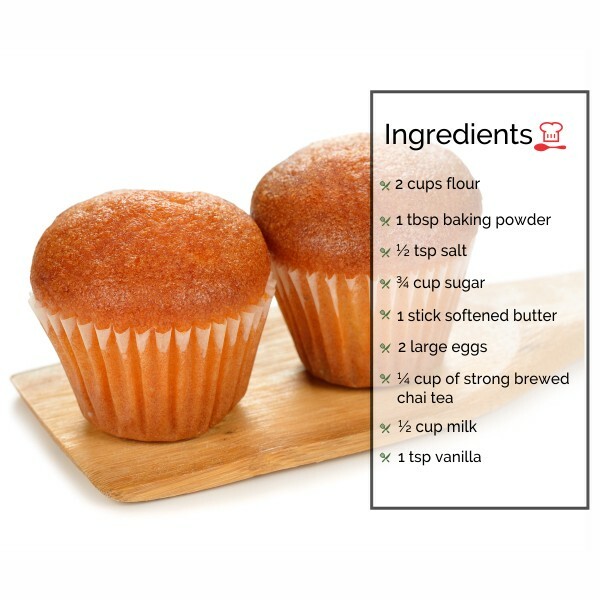 Pour the mixture into 12 muffin tins. Set these to bake for 18–20 minutes at 400 degrees. Let them cool after you take them out of the oven. 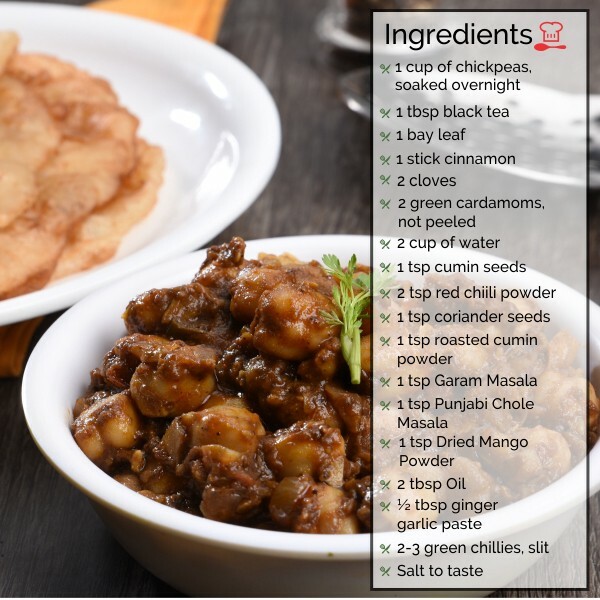 These delicacy from the northern state of Punjab, in India, has seen the use of black tea for years. Make a strong brew of the black tea. Set aside. Take the soaked chickpeas and pressure cook it with the tea, bay leaf, cloves, cardamom, cinamom, salt and water for 3 whistles. Allow pressure to release, discard tea bag and whole spices. Drain chickpeas and reserve the water. 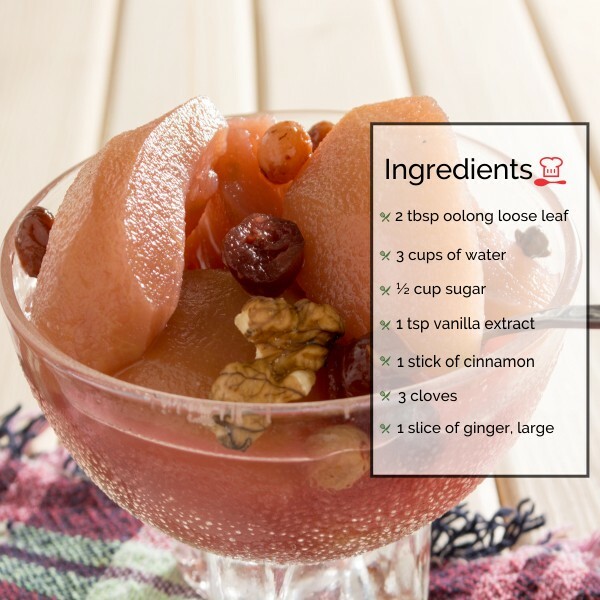 An ideal way to end a meal is with a lovely tea compote. A generous dose of fruits to make a guilt-free dessert. Boil the tea leaves in water. Once done, strain out the leaves and add the spices to the water while still keeping it on boil. Add the spices and the sugar. Cut the apple and pear into long slices and add them to the reduction. Let it cool overnight in the fridge. Take out a portion of the fruit and the syrup, add a cherry on top and serve! This one’s going to be the talk of the town. 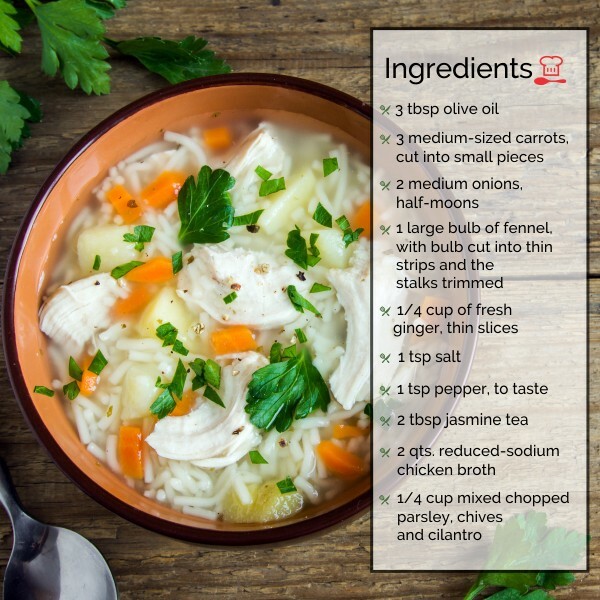 Get down your white tea, and prepare for a dish as delectable and just as unique. Place a pan on low heat and add the butter to it. Let the butter melt and then add the tea leaves to it and let it cook in the butter for 3–4 minutes on the lowest flame. Turn off the flame and let the tea steep for another 2 minutes. Strain out the leaves and set aside the butter. Detail the boiled lobster and pull out the meat onto a plate. Cut the meat into small bite size portions. 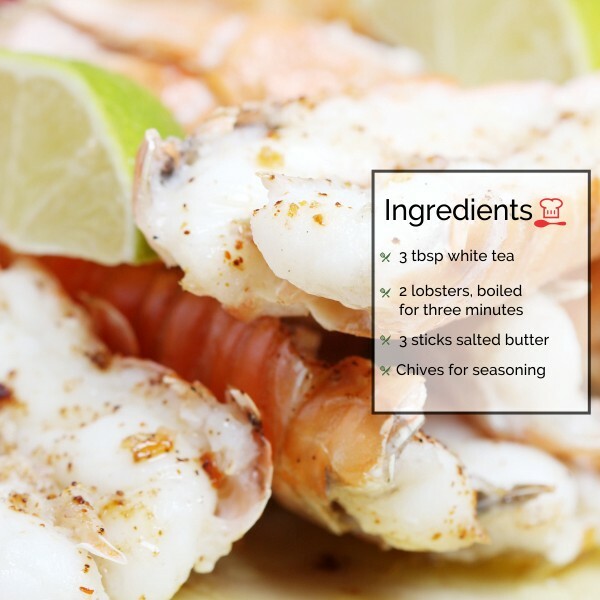 Place the pan of butter on a low flame and add the lobster meat to it. Let it poach till the meat has soaked in the butter completely. Take the meat off the flame and set it on a plate. Garnish with chives and serve. Brew the jasmine tea, reduce and keep aside. Add onions to heated oil and saute. Add the carrots next. Add the chicken broth, once the saute is done. Add the fennel, ginger, tea and salt. Increase the heat and bring the mix to a boil. Set aside once done. Add the parsley, cilantro and chives and serve. A Chinese classic preparation which has seen variation of pork and chicken in other parts of the world. I didn’t get the whole duck but tried duck breast pieces instead. Simply divine! Chinese five spices can be made at home or purchased, prepacked. They are: Sichuan peppercorns, star anise, cloves, cinnamon (just a small piece) and fennel seeds. Mix the powdered spice with cooking wine and some salt. Use it to marinate the duck and leave it overnight in the fridge. Use a large foil to line the base of the wok and extend at least 6 inches outside. Mix the rice, tea and sugar at the base of the foil-lined wok. Over the mixture, place the rack of the wok and place the marinated duck piece on top of the rack. Let the whole mix stand on medium heat until the tea leaves start giving out smoke. Cover the wok with a lid and use the extended foil to seal the lid from outside. After another 3–5 minutes, a good amount of smoke will appear inside the wok that will cook the duck. Turn off the heat but do not open the lid. Let it stand for another 10 minutes or so for the smoke to work its magic. Once cool, open up. 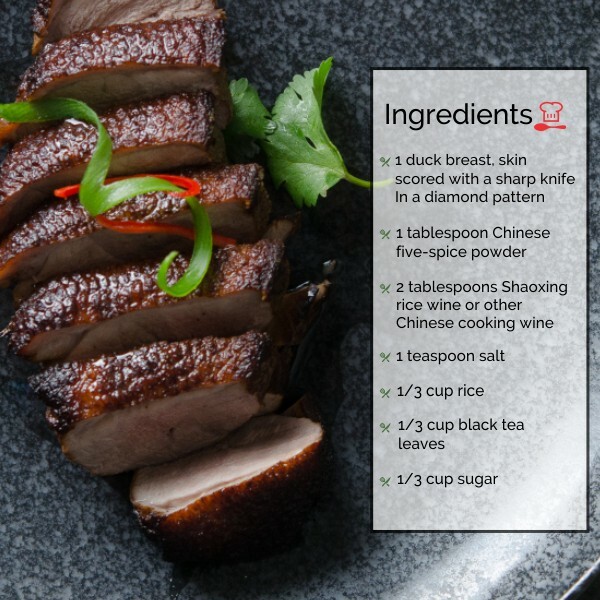 Slice the duck pieces and serve! That’s the list for now. I hope you try your pick of the lot and let me know how it went. Fresh tea leaves are the best bet to get the right flavour in all the recipes mentioned above.